Can I access BIGVU from a computer & a mobile app? BIGVU is both a web app desk.bigvu.tv (BIGVU Desk) and an Android or iOS App (BIGVU Reporter). 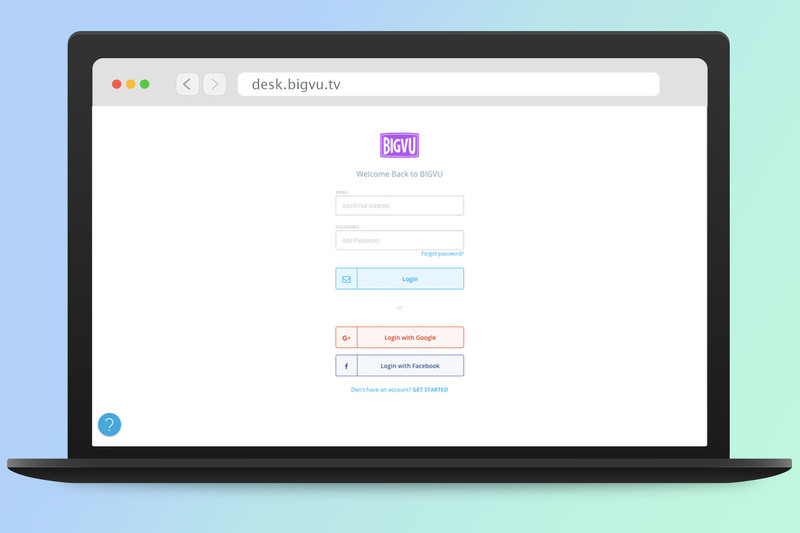 The same Username (email) and password, Facebook or Google account is used to enter to the BIGVU Desk and BIGVU Reporter App on your smartphone.